Our lovely Candy Houses look good enough to eat, but fortunately they’re not edible so you’ll get years of enjoyment out of a set of these houses. 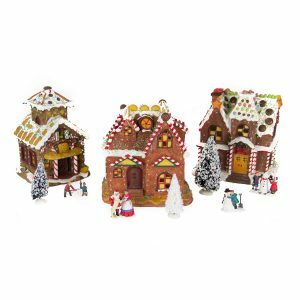 These houses have mouthwatering designs complete with candy cane porticos, frosting gutters and roof tile sweeties. 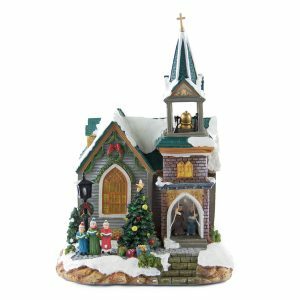 Our Candy Cane Houses are highly collectible and come with trees and figurines to complete a perfect Christmas scene. 2 x AA batteries required (not included).